This is closely allied to the two preceding elements - the Stat Fact and the Trivia Stat. It is simply based on observing prevailing social and cultural trends, and extrapolating from them. A good knowledge of current trends can help the psychic to make accurate statements about the subject's life now - her character, attitudes, pastimes and pre-occupations. Educated guesses about how these trends will develop can help the psychic formulate predictions for the subject's near future (in addition to all of the 'prediction' elements discussed later). After I published the first edition of this book, I received feedback from a great many people. One in particular, whom I met after a lecture in Los Angeles, is blessed with very sharp insight and a good sense of fun. For various reasons, he wishes only to be known - in true Watergate style - as Shallow Larynx. On the subject of Cultural Trends, Shallow Larynx sent me this dispatch. I thought I would share it with my readers in more or less un-retouched form. I can tell you a few trends I have noticed. Wealthy men are picking up the appearance paranoia once reserved for their sisters. Men's skin care products are a $35 million industry and growing. They include moisturisers, under-eye cream and exfoliant (but done in a manly way). It is not uncommon for professional men to get manicures. I know of one premier 5-star spa located in California. They hold "Men's Week" four or five times a year. A week at this spa rarely costs less than $5000. Men's Weeks are always sold out well in advance. They have some repeat customers who have been more than 50 times. Men are really catching up on plastic surgery too. I spoke to a woman who runs a boutique hotel in Beverly Hills. The exact address is a secret known only to its very exclusive clientele. This boutique opened its doors in 1988. The proprietor tells me she has seen bookings among male patients jump from 6 percent to 25 percent in the last few years. Of course, the big imperative for men is exactly the same as that for women. If I remember right, the most popular male procedure is a facelift, with liposuction not far behind. Men tend to go for it round 40 or so, and the motive is defending one's perceived market value. Guys who look haggard and old lose an edge over the younger beta males moving in on the office turf. All worth knowing, if you are cold reader and your subject is a man who sports a manicure, looks suspiciously healthy, and seems younger than his years. Another recent and noticeable trend in America has been called the "philanthropy boom". It is not cool to be a miser, and just donning a tuxedo or writing a cheque is not good enough any more. There is very strong social pressure for stupidly wealthy people to start foundations, create innovative programs and otherwise acquire a taste for philanthropy. It starts with the people at the very top of the wealth tree, such as Bill Gates, but then it filters down and becomes a fashionable trend. So giving is trendy, more so now than ever. I think it would be relatively safe for a cold reader to attribute some kind of philanthropic activity to the subject. Even if the subject rejects this, you can always adopt a knowing tone and attribute the denial to admirable modesty, "Of course, I understand. I would not expect you to believe in promoting your good deeds to others". Houses are getting bigger. I remember reading somewhere that the average luxury house has doubled in square footage size. This made me think of real estate data, which can be a goldmine of information. There are websites where you can enter any zip code and get detailed information on a community. On the same lines, there is a web site for 'Who's Who in Luxury Real Estate'. This is a members-only association of luxury real estate brokers who have to earn their way in. It is international. They have a broker search engine on their site, and many of the brokers have web pages, which might prove useful. Returning to the subject of housing, it is becoming commoner to buy a plot of land, tear the existing, perfectly good house down, and build a new one. This is called a "teardown", unsurprisingly. This would of course be more likely to occur in a chock-a-block congested place, such as Beverly Hills, rather than Jackson Hole, Wyoming. The internet has changed the way people live in another serious way. Now, you can work from home much more easily. This means that what would have been a resort home or vacation home is now home, period. Resort communities, like Aspen and Palm Beach, are becoming year-round places to live. And what about the trends in luxury homes? These days it is almost a given that the following rooms are part of the house: his and hers bathrooms, home office, home gym, home theatre or "entertainment centre". Kitchens have changed. They used to be purely a service area at the back of the house. In old mansions, the kitchen is tucked out of the way, and the servants' quarters are usually nearby. Now, the kitchen has become a sort of showpiece, placed up the front of the house and suitable for hosting guests. It may have a 6000 dollar pizza oven, working beer taps, you name it. It is somewhat analogous to what I call the "SUV effect". You sure as hell do not need it, but you certainly want it, and it is 'chic' to have it. Cooking used to be a chore. Now, it is a status symbol. Showing off your $125 balsamic vinegars, imported Scottish game hens, gourmet cooking classes and huge trophy kitchen is just another way of advertising how wealthy you are. The up-market kitchen supplies industry has really taken off in recent years. This ties in with eating well, staying healthy and watching one's weight. Speaking of SUVs, they are far more popular than sports cars. People who buy them routinely take them in to have extra features added. These include hi-tech GPS (Global Positioning Satellite) systems, very powerful hi-fi, a fax machine, printer, Internet connection, TV, video game system, multiple wireless phones and so on. Of course, status symbol sports cars are still with us. But there are many high-flying business executives these days who want their rental car to be an SUV. Aside from sports cars, there is a huge market for cars that look distinctive, and are conspicuously dissimilar to everyone else's vehicle. The two-car garage is no longer enough. Four- and even six-car garages are no longer all that remarkable. It is very, very common for teenage girls to shoplift something before they reach womanhood. Some make it into a competitive sport. 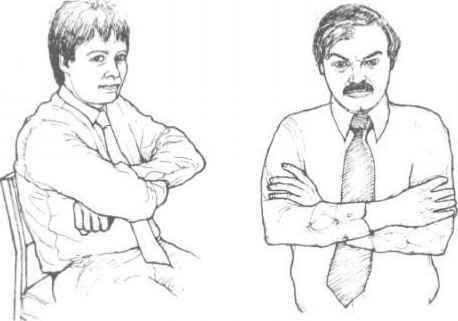 Frustrated teenage boys who act out criminally tend to choose violence. Frustrated teenage girls steal stuff - usually items which are small but expensive. There is a store in my local mall which is clearly aimed at the 12-18 crowd. It has a big poster on the wall showing a girl in a white angel costume. She is shrugging her shoulders. Her gown has a big ugly green stain on it. The poster says, "Don't Stain Your Perfect Reputation. We Prosecute Shoplifters." End of report from Shallow Larynx. My sincere thanks to Shallow Larynx for this rich seam of observations. There is little for me to add. The Psychic who wishes to capitalise upon this kind of element strives to match this kind of awareness, noticing not only the trends themselves but their roots, causes and implications. 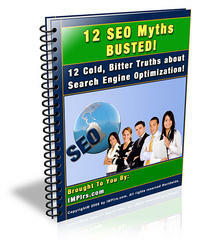 Within this guide you will find 12 cold, bitter truths about search engine optimization myths that have been busted. This is a common myth that is fed to new website owners as a quick way to get backlinks and traffic. If youve got a new site, the best thing to do is to find a lot of related blogs and post comments, right? Wrong. Most, if not all, blogs have nofollow tags within their code. Nofollow tags will stop the page rank and SEO from one blog from going into the other.